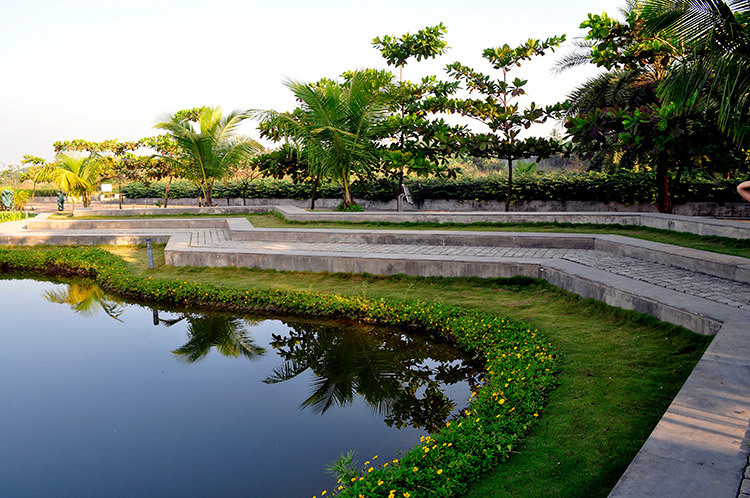 The ‘village’ site is located in a well developed, picturesque grove of Mangoes, Coconuts & Chikoos at Vapi. 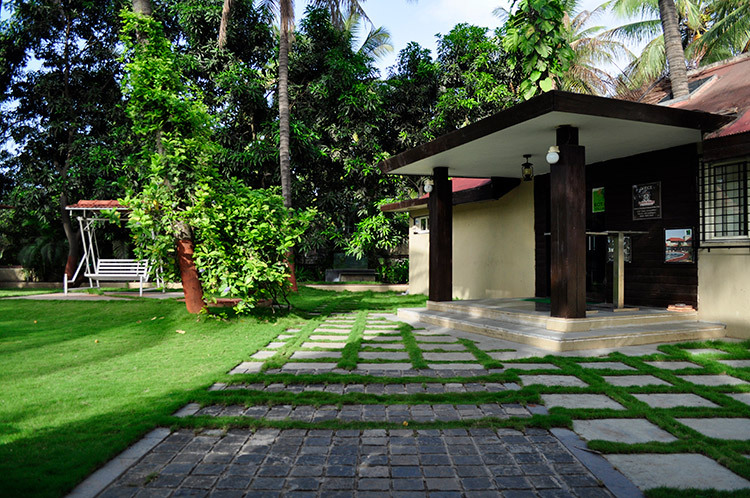 The character of development complements the natural character of the site- and its advantageous location- not too near to the city so as to retain the ‘village’ flavour, yet, not too far from the city, ensuring ease of accessibility to all the conveniences of the city. 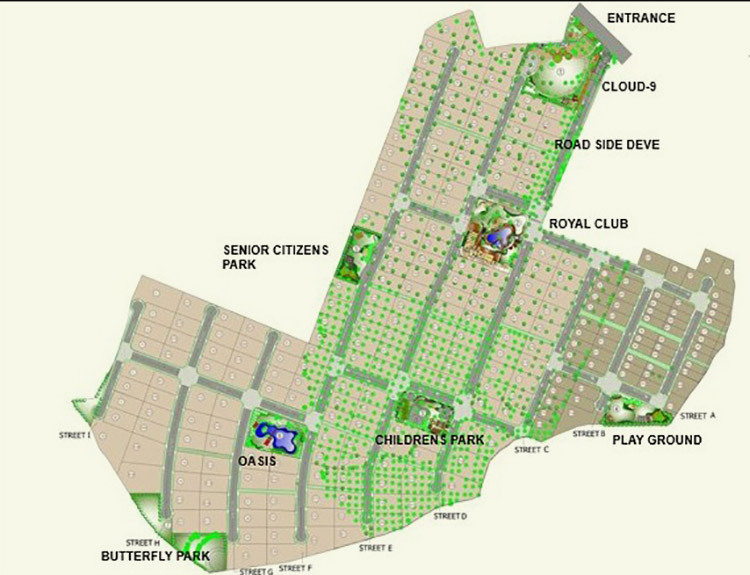 Together with the architects and the clients a master plan was devised which had various open spaces distributed over the entire site. 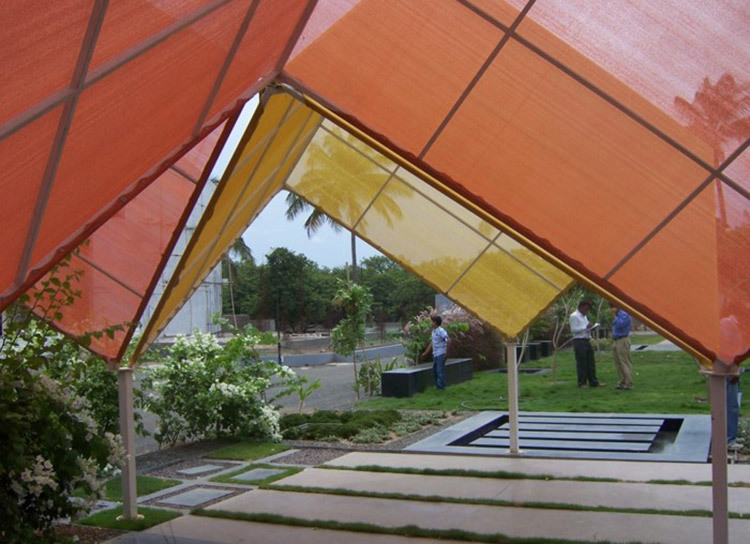 Each open space was developed on a ‘theme’ to give the user a variety of experiences. 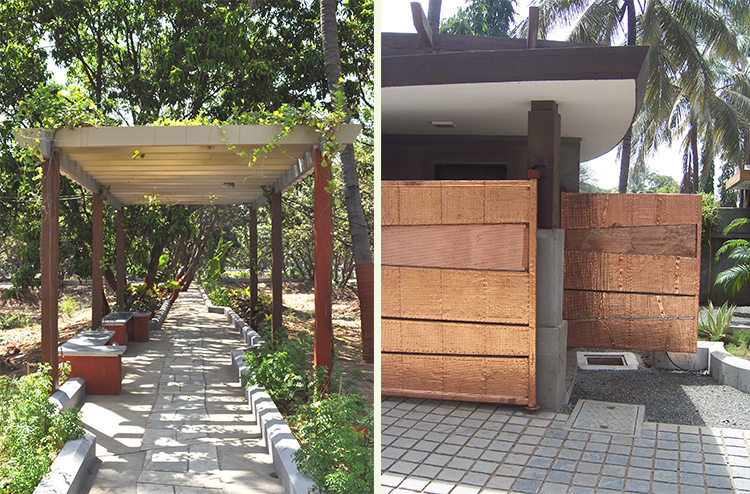 The existing grove of trees made a very strong statement and also gave a readymade structure to the development. 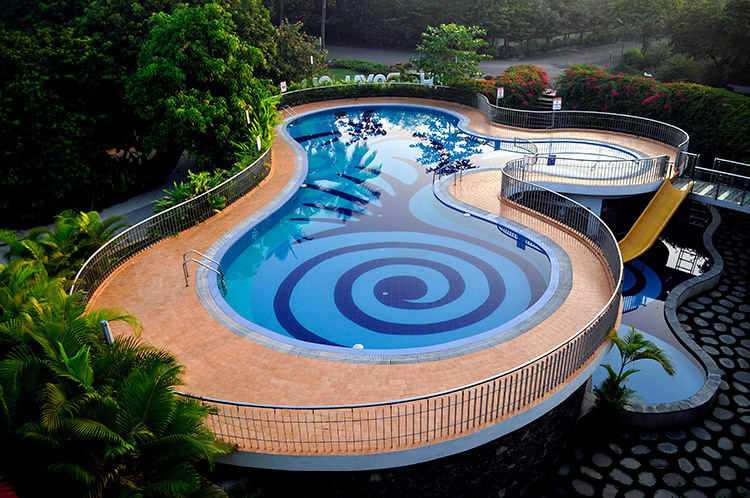 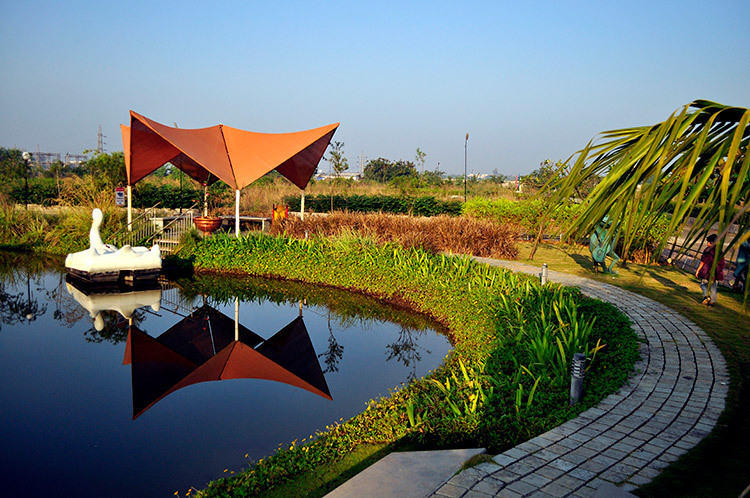 The landscape development tried to incorporate them such that they formed an integral part in each of the open spaces. 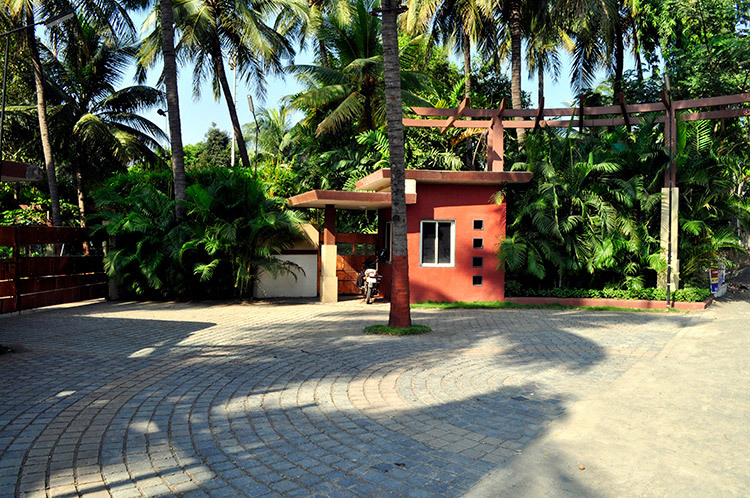 In the get-together area, a large hard area is located advantageously under the shade of existing coconut trees. 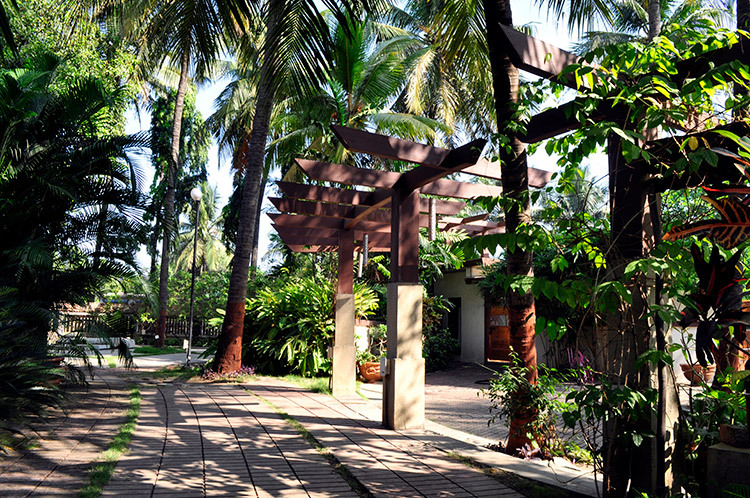 Seating areas and pergolas are strategically located below existing shade giving trees. 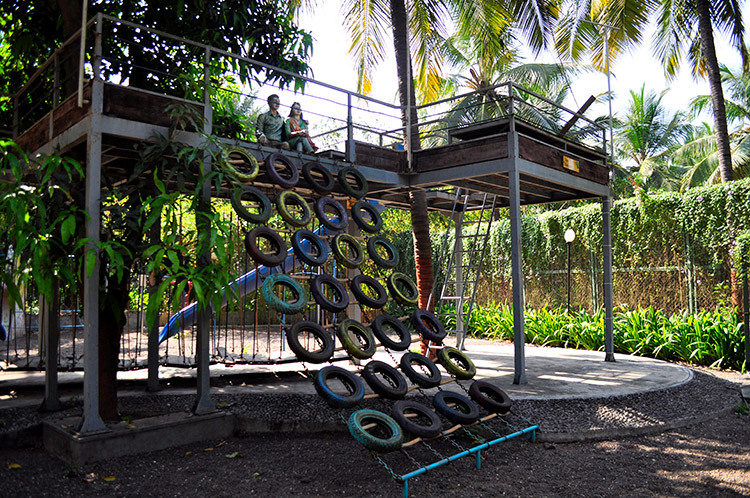 Adventure play areas , a tree house and a bridge are built around large robust trees thus making them an integral part of the design. 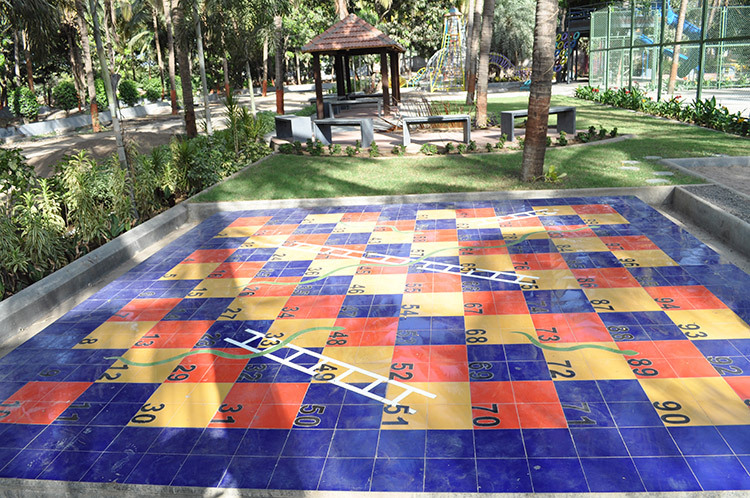 There are a total of 10 open spaces of various scales. 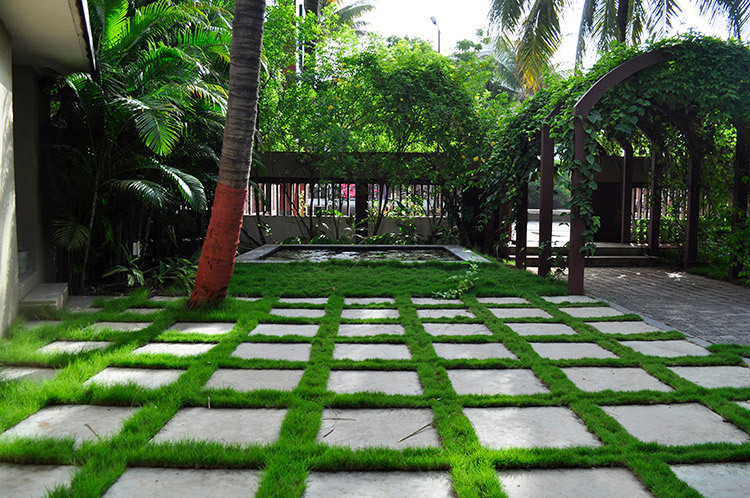 These are different in their treatment and design and also have a different feel by the use of planting. 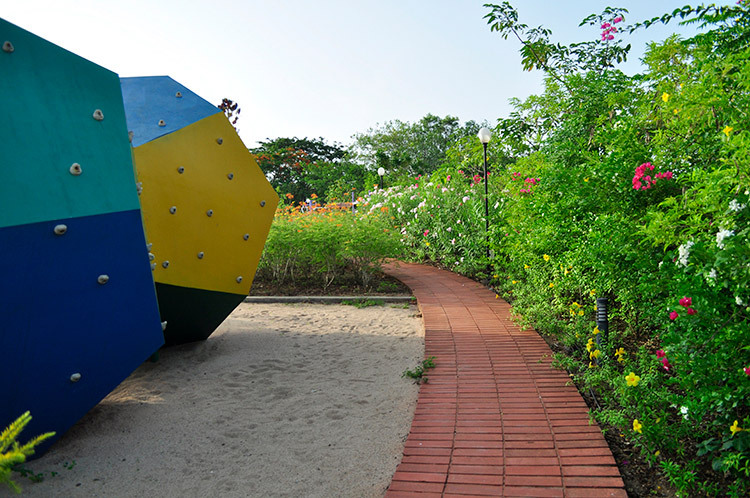 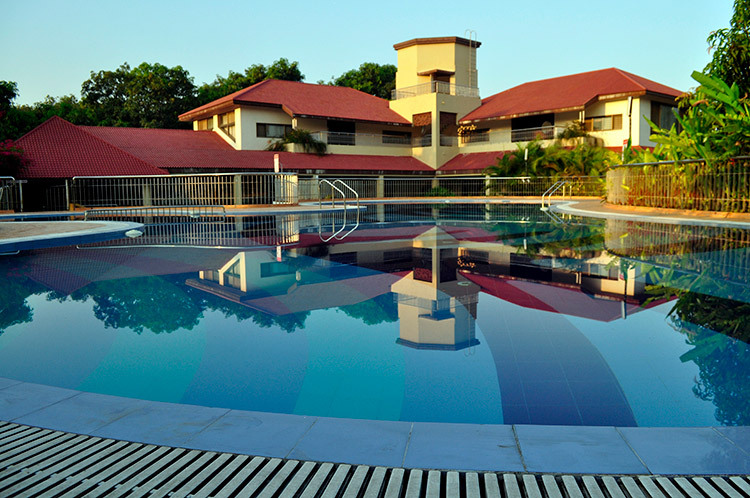 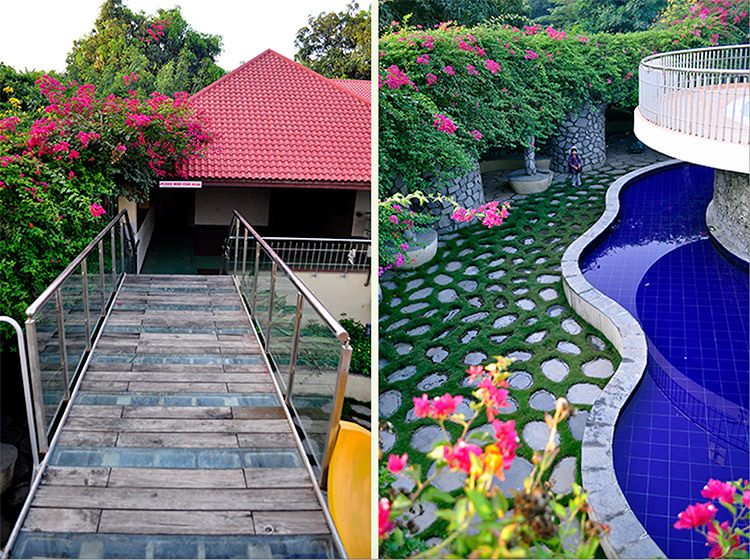 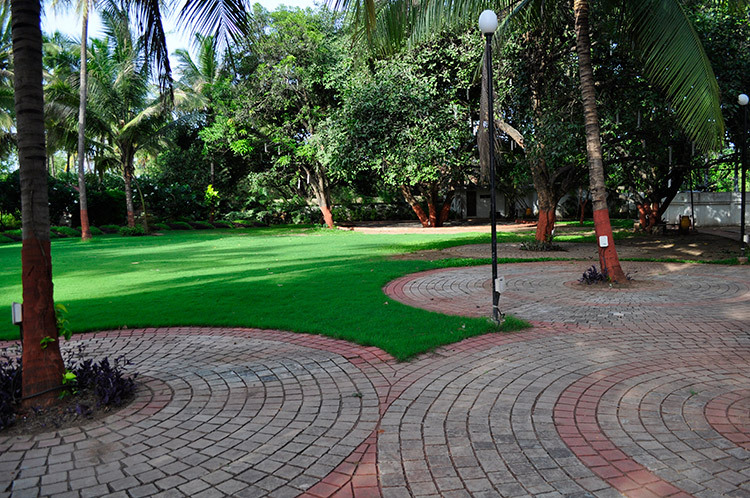 These boast of a gathering space, the club house with a swimming pool, a meditation area, a ground for robust play, an adventure play area, play sculptures, a tree house, a senior citizens area, a butterfly garden, an oasis and a temple area. 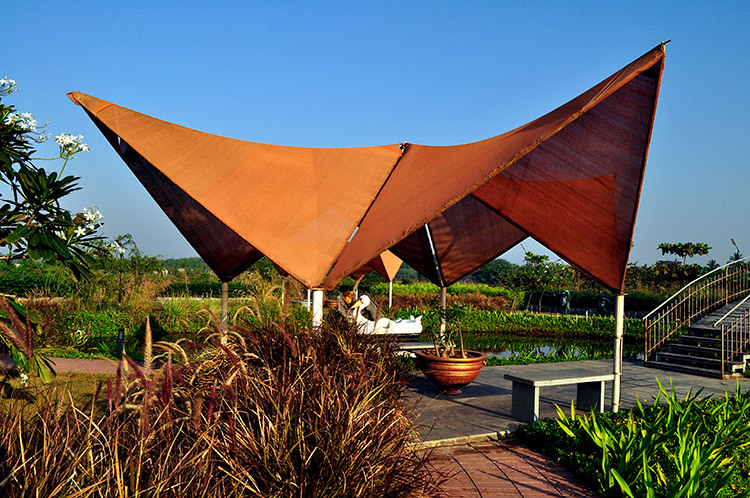 Pergolas, seats, swings are spread out over the entire site. 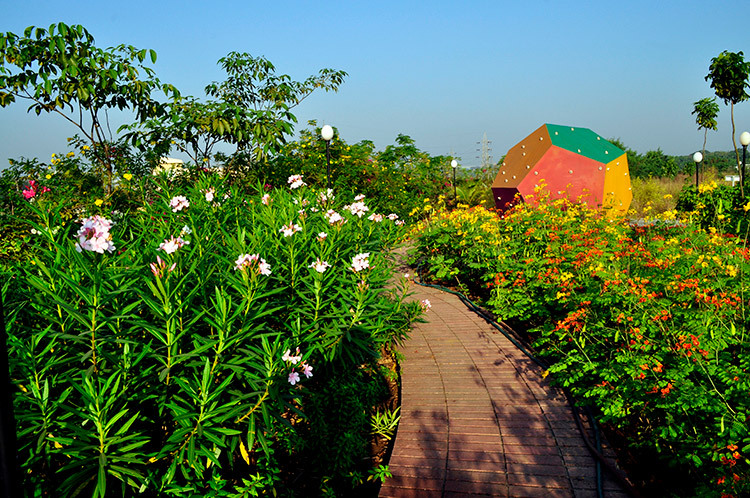 Plants with seasonal variation are used along the roads which make the roads vibrant with different colours in different seasons.